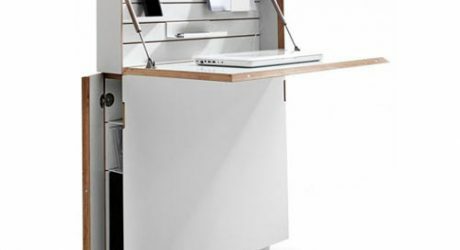 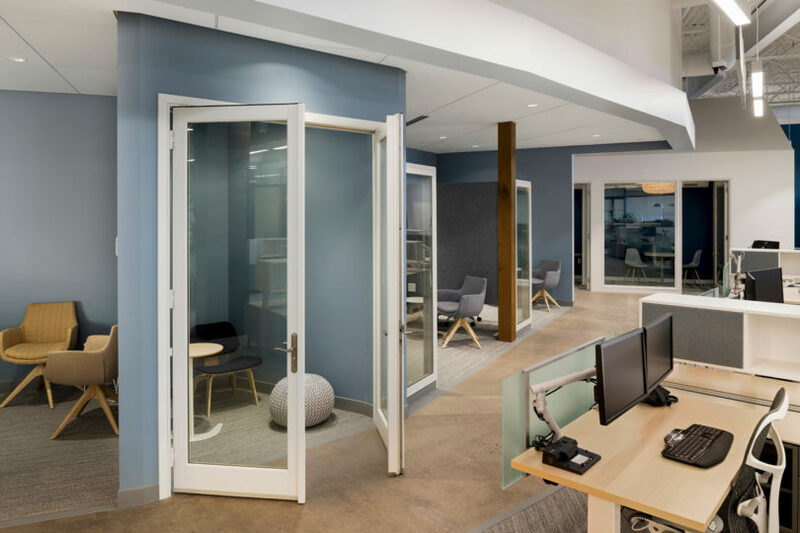 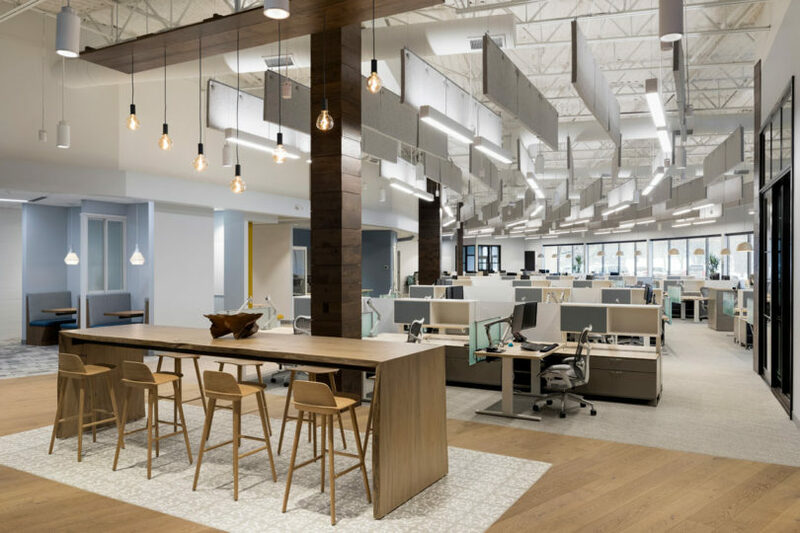 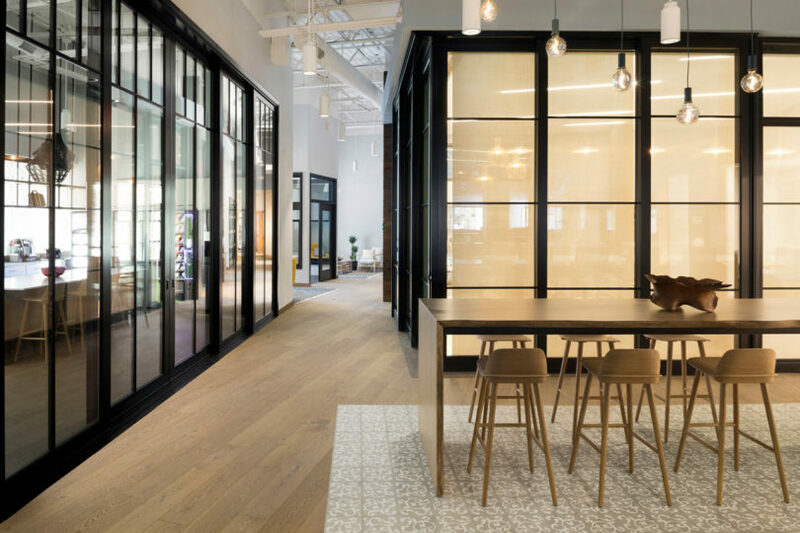 Marvin Windows and Doors recently overhauled their office in Eagan, Minnesota to better reflect the brand’s Nordic heritage while seamlessly incorporating their products alongside several Minnesota-based brands. 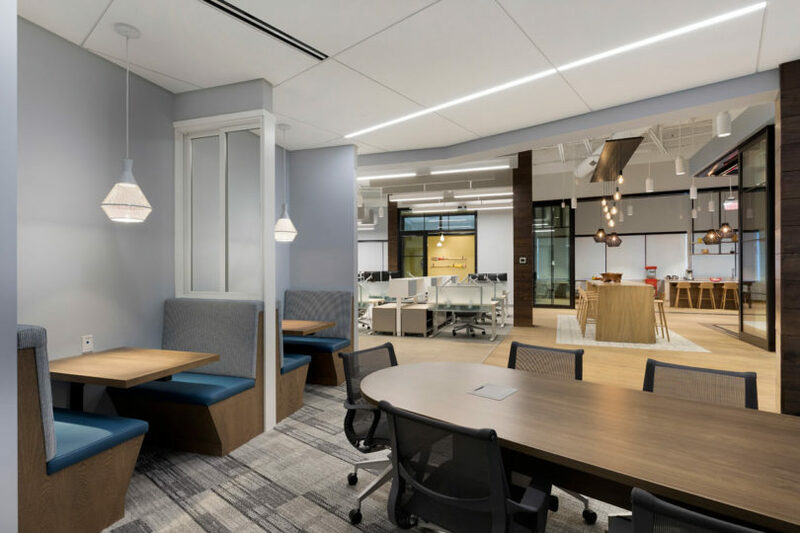 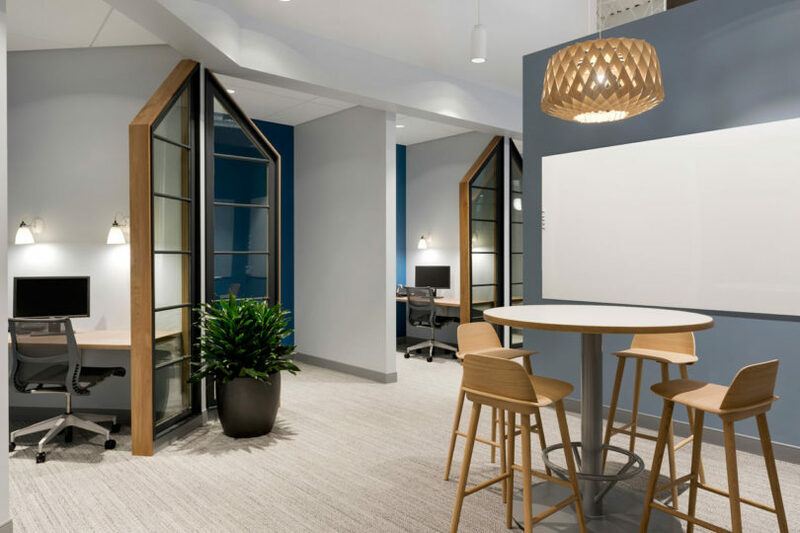 They worked with Shea Design to bring their ideas to life and the result is a warm, inviting office that encourages creativity, boosts productivity, and inspires its 56 full-time employees every day. 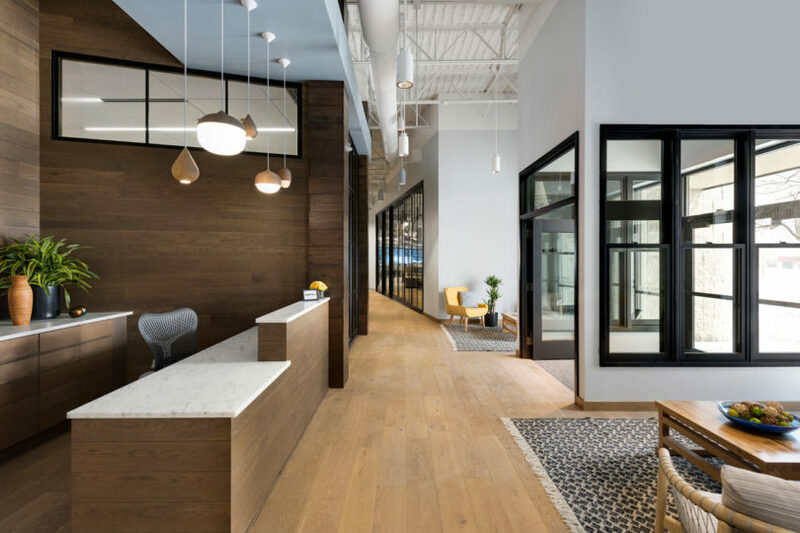 The family-run business incorporated almost 100 of their windows and doors giving clients and visitors a chance to see the products being used. 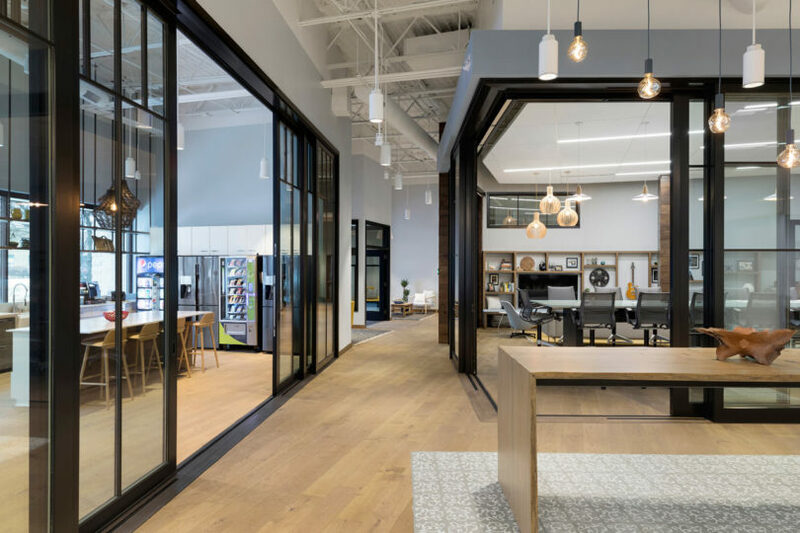 The massive sliding glass doors above keep the visual connection in place while also allowing light to flow through. 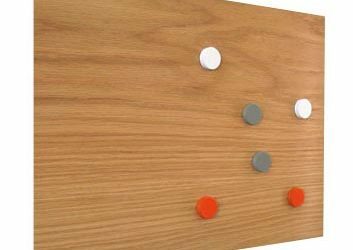 And while they look heavy, you can actually move them with the push of a finger. 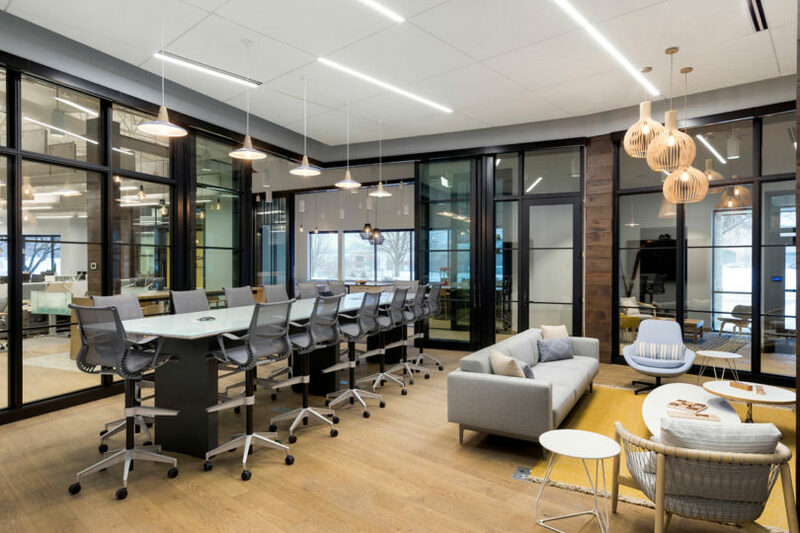 The communal work table above was handcrafted by Wood From the Hood, a Minneapolis shop that uses locally fallen urban trees. 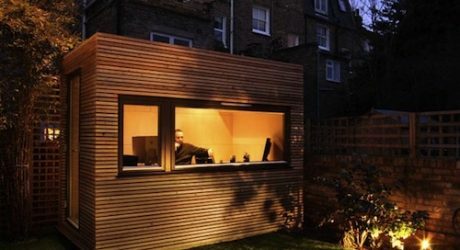 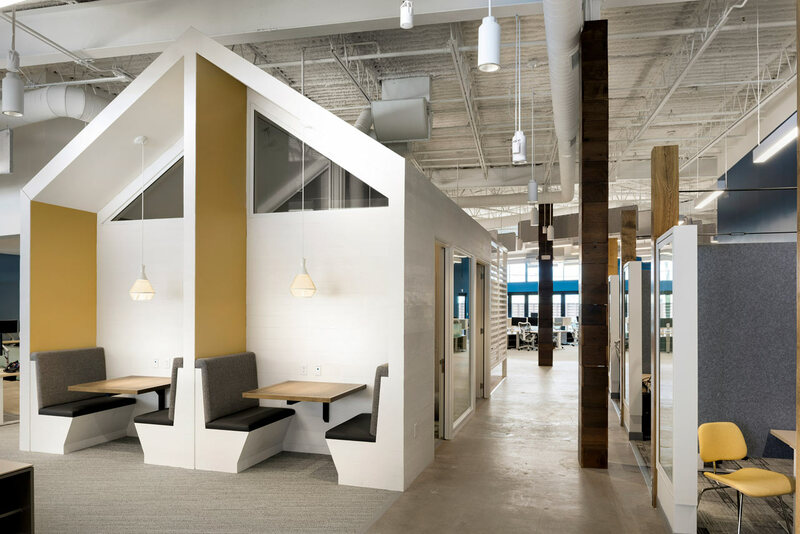 Most of the employees work in an open office space with a curved window-clad perimeter. 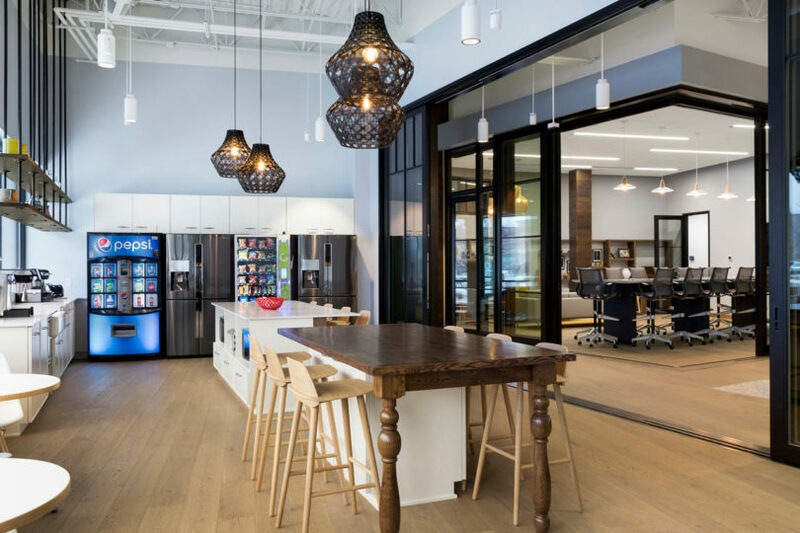 To help with sound management, they used three layers of sound insulation, including the acoustical panels hanging above (which are made from recycled t-shirts), K13 spray on the ceilings, and a hanging speaker that delivers white noise. 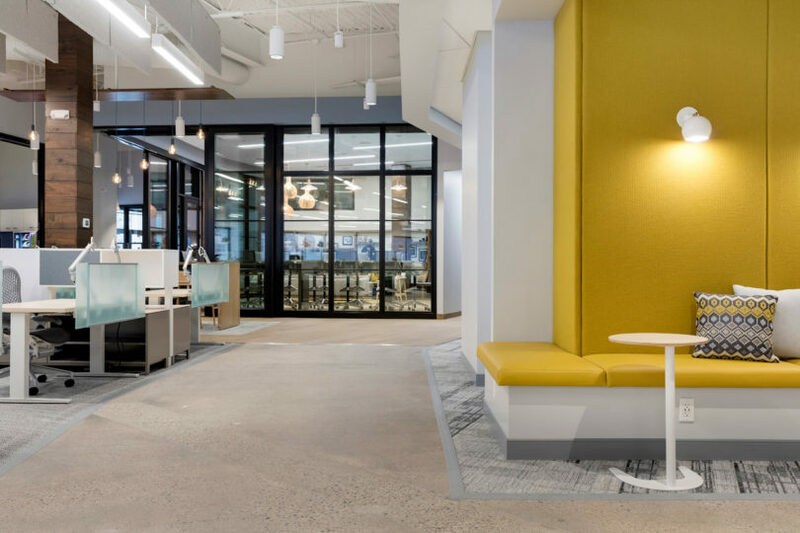 Along with the open workspace, they incorporated lots of spots throughout for different types of work needs, like quiet spots to get work done and group settings for collaboration. 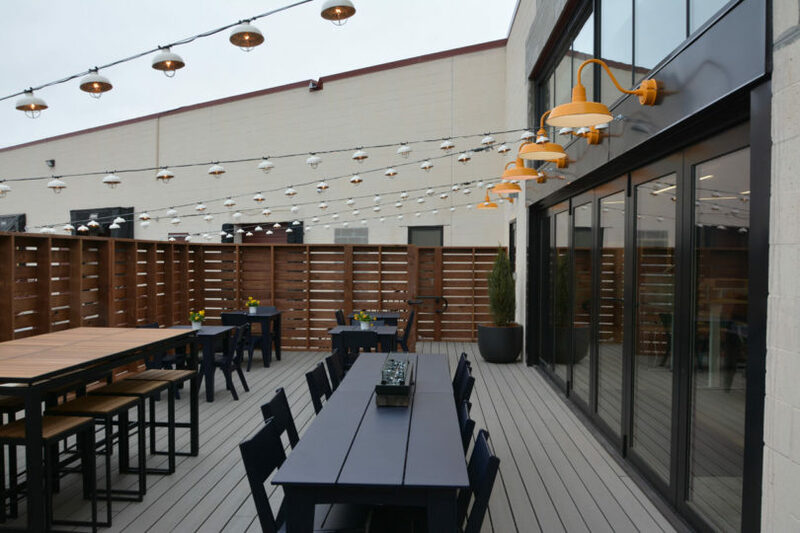 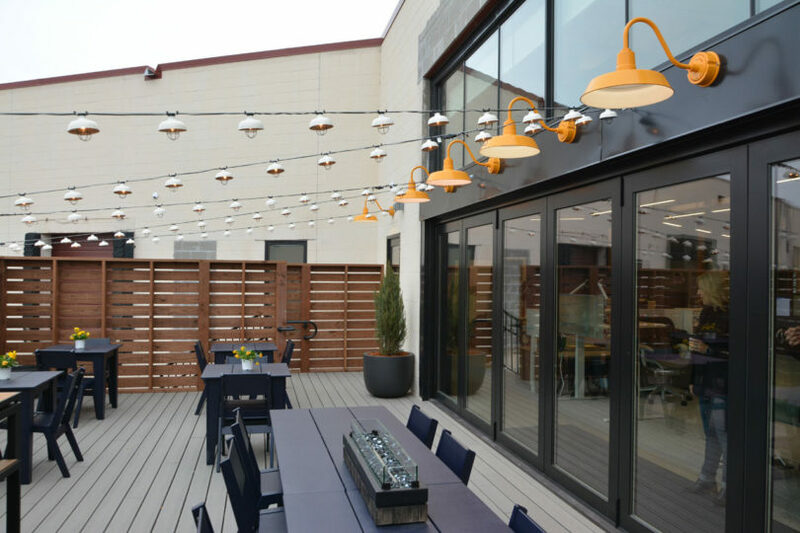 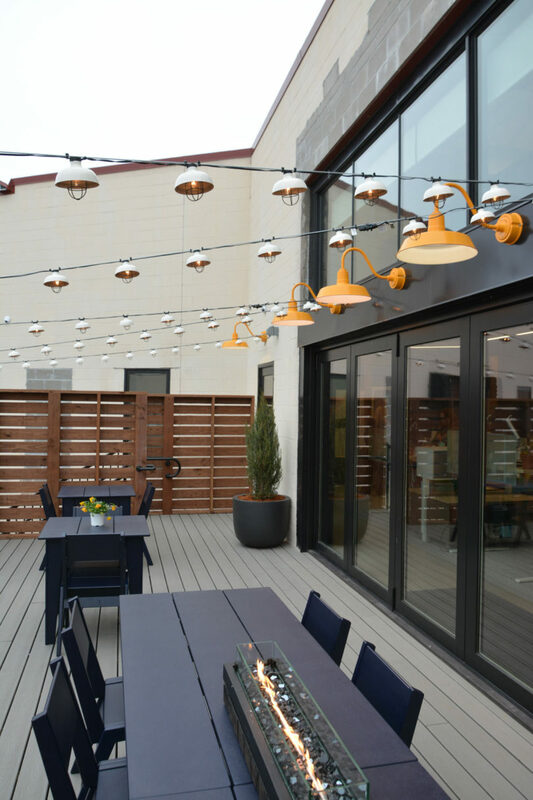 For their outdoor patio, they used Loll Designs furniture which is durable enough to withstand Minnesota winters. 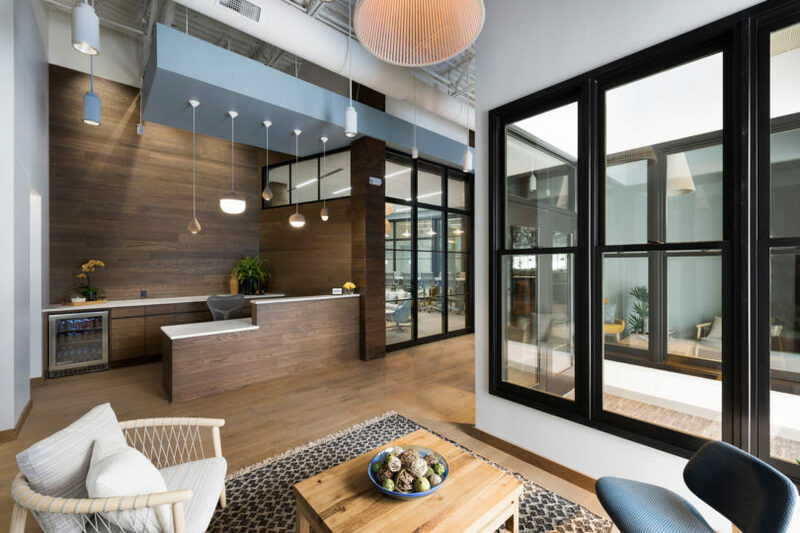 Photo by Spacecrafting®, courtesy of Marvin Windows and Doors. 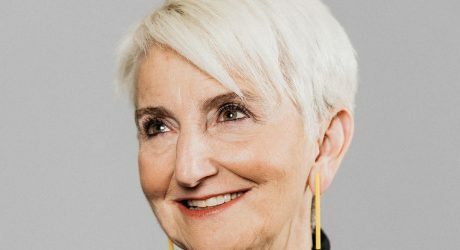 To celebrate her inauguration, we asked Pratt Institute's newest president, Frances Bronet, to join our roster of Friday Five candidates. 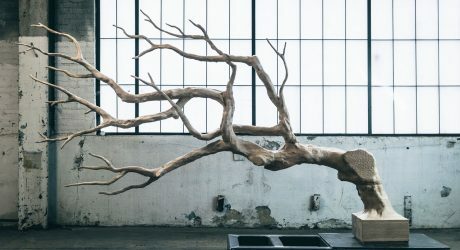 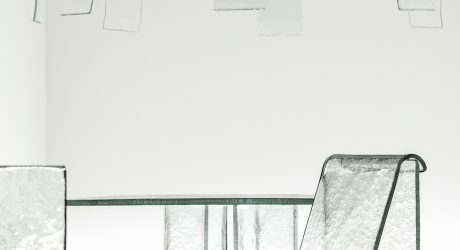 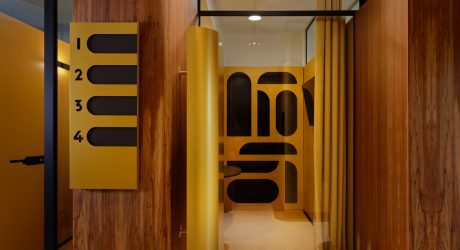 Designer Sebastian Errazuriz was invited back to design a new VIP lounge for luxury watchmaker Audemars Piguet. 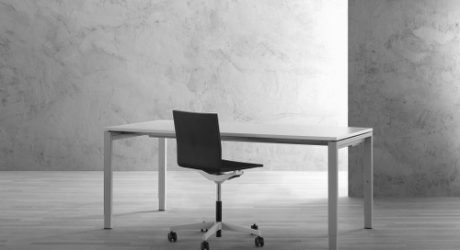 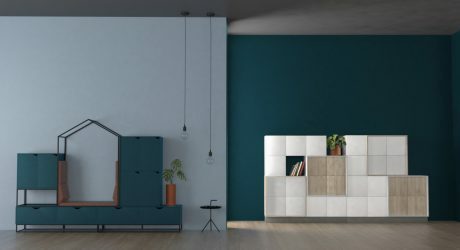 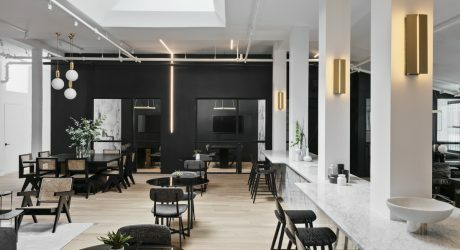 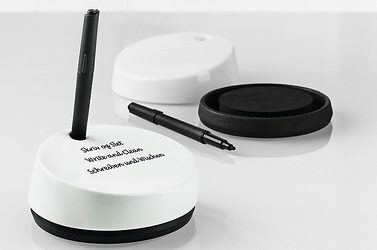 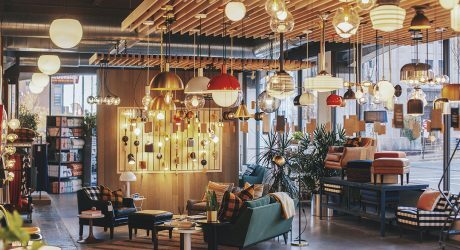 A co-working space with a black and white interior design, made for creatives to get work done.